So 2016 is the season that social media styled the runway. The Desigual Spring 2017 show took that quite literally by opening the show on a giant lit red circle to emulate the Snapchat button. 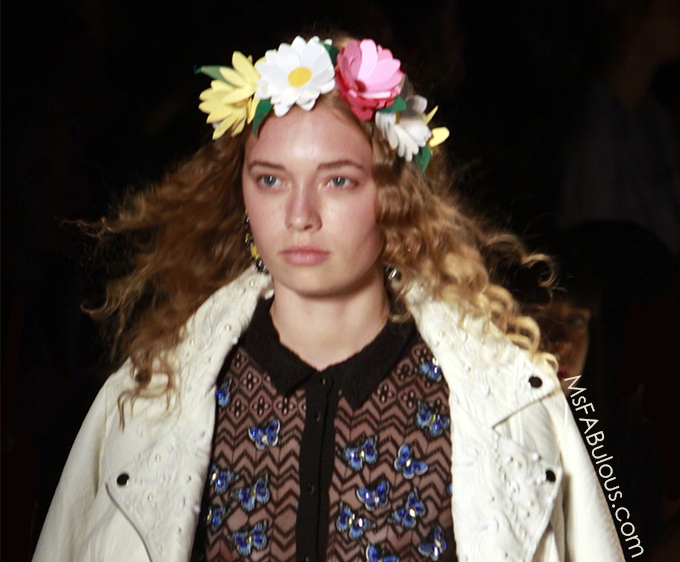 Many of models were actually accessorized or made up to look like Snapchat filters. From dog noses, tiger stripes to flower crowns, my friends were wondering why I posted runway photos that were filtered, and I had to explain I did not. 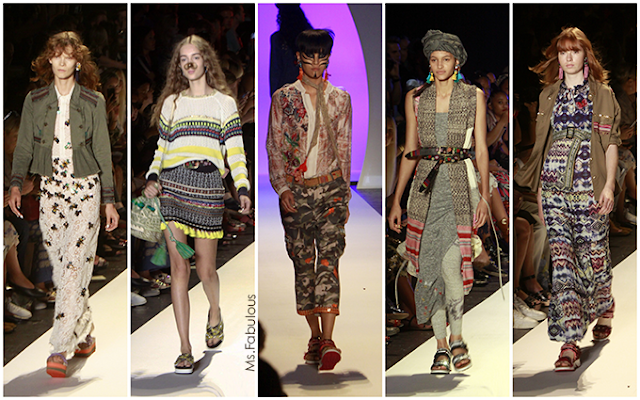 The clothing itself, I loved the upgraded embellishments and embroidery on many of the looks. There was a military influence in the jackets, the pants, softened with sequin flowers. Complex knits also looked rich mixed with varied textures. I always think of big mismatched prints when I think of Desigual. All of us photographers count on this show to bring tons of color to the catwalk and they have to disappoint. In this ugly election season, I saw Desigual as making their subtle statement. Military, war and misguiddedachismo balanced by the beauty and femininity of butteflies and flowers. Old school being propelled forward by new media. How Desigual always casts one of the most ethnically diverse runways of NYFW and styles them accordingly shows how a love of fashion transcends politics and race. I like to think that fashion week is more than clothes and economics. I like to believe that some brands speak through style. Desigual Spring 2017 says it in person and on your mobile broadcast.